Convert and save Outlook PST File data such as Emails, Contacts, Drafts, Sent items, Journal details into DBX File format to use in Outlook Express Client. 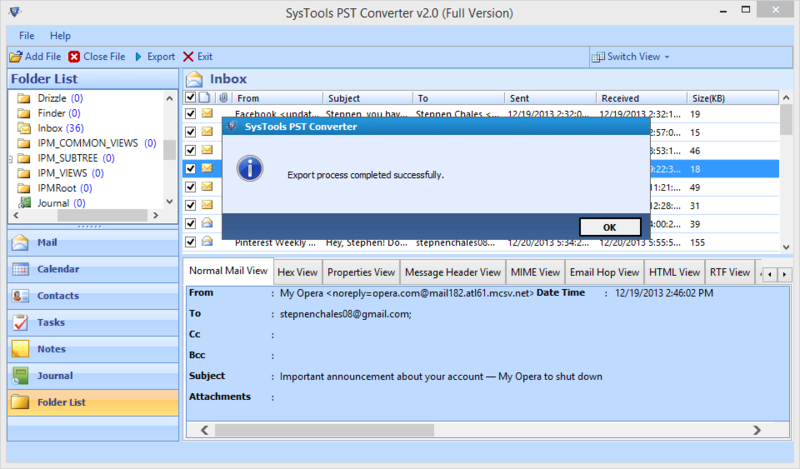 Convert Outlook PST file using PST To DBX File Converter. The software allows user to export selective files items of PST file according to user need. To select the folder of PST files, click on the checkbox of particular files items and software will export only the checked items. While converting files in DBX format, PST to DBX Converter offers features as Naming Convention, So that Emails messages can be arranged, by default all emails saved by “subject” convention during conversion. To select files of an range between dates, user can filter the emails according to data filter features of software. 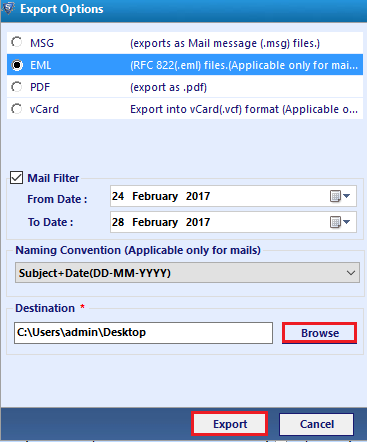 Just select the "From" and "To" Date ranges options to select the emails items and other details between these dates. Simple & Interactive display similar to MS Outlook Application help the user to convert PST file in without any problem. Even a novice user can convert file without the need of a technical knowledge. After Scanning and loading file in the software, User can sort the data according to their properties. In Emails Section, select To, From, email sent, receive data and size of the file(kb) and many more option to sort items using software. 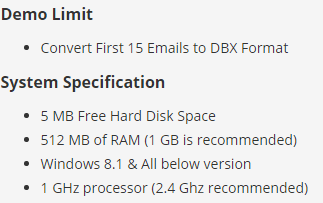 A DBX file format used in Outlook Express product of Microsoft. This Email Client help user to send, receive messages and manage them, Outlook Express used DBX File folder to store and receive emails, in Outlook Express store folder. User can convert PST File of Outlook into DBX Format Software provides different features such as Date Based filter and Naming Convention option to sort and select data files. As Microsoft Outlook and Outlook Express are the product of Microsft. But both products holds information in a different format. Outlook user .pst file format to hold emails, tasks, journal, contacts details, On another side Express, uses .dbx format to store files. As it is difficult to convert PST file in DBX manually. To solve this problem and convert the file in file form one format to another user can go to PST File to DBX Converter. 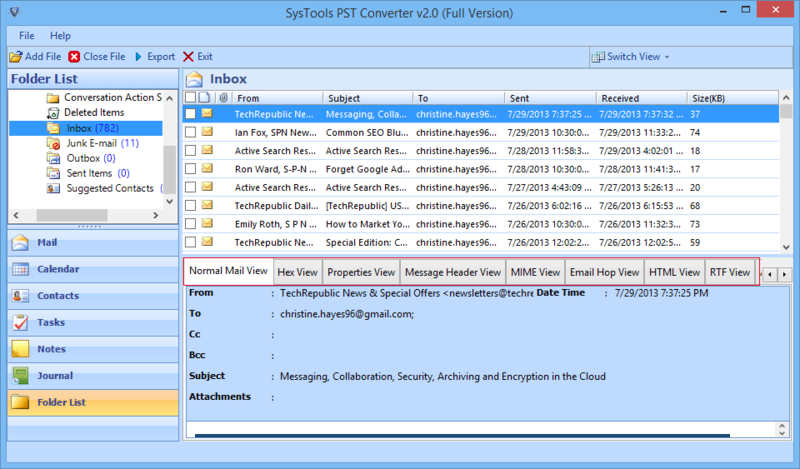 View Scanned PST file and view Outlook file details from different emails view, such as Hex View, Message View. Click on Export option and view Exported file into the Destination folder. PST To DBX Converter Tool - Doubts & Queries! Can I convert Corrupt or Damaged PST file in Outlook Express file format? Yes, Software works scan damaged or corrupted PST Files. To convert PST to DBX Format, first of all, you have to select the desired file from the conversion machine, then software applies intelligent algorithms to remove corruption issues from the PST files and provide preview of PST File. Can Converter can convert multiples PST files in one go? NO, PST To DBX File Converter only single PST file at a time. It does not convert PST files in bulk. Can I convert PST file into DBX File format in Bulk? No, You need to add single Outlook PST file within the software. Thanks to the developer team, finally find a solution to convert Outlook Data files in Outlook Express format. 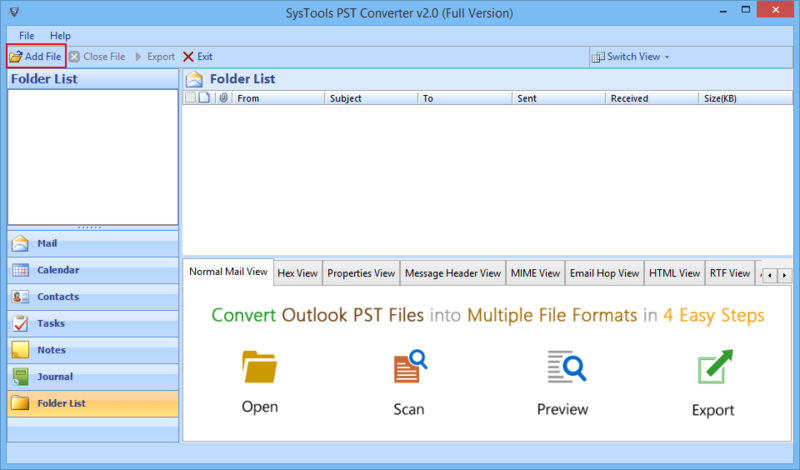 Just install the Outlook PST to DBX converter and within a few simple steps, you can convert your outlook emails in format, which is easily imported in Outlook express. Transferring all our mailboxes, files look like an impossible task, But converter made it look like a very easy task. Just select the desired PST file you want to convert, as the program is quite intelligent and works just one click to go commands. Great job!. 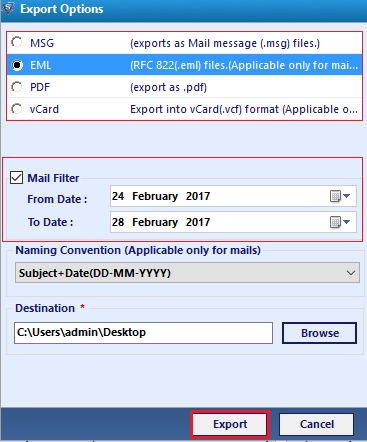 Various option within software to manage emails, naming convention and Date filter option really help me alot while converting PST file into DBX format.